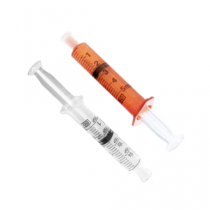 Unlike hypodermic syringes, which are created to connect to a needle for injections under the skin, oral syringes are used just as their name suggests -administering medicine orally. 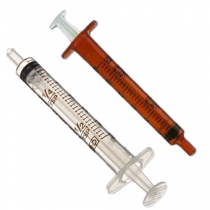 Oral syringes are not all created equal. 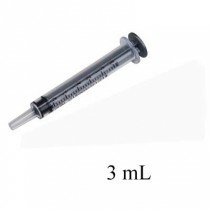 Although these types of syringes can be used on individuals of any age, they are most commonly used on babies and children to give doses of liquid medicine that can often be difficult to administer with a spoon. 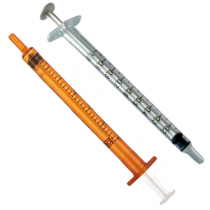 Oral syringes can ensure accurate dosage, so you don't accidentally give the individual more or less of the required medication. 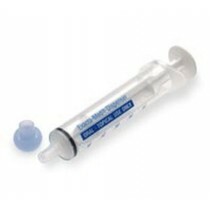 Stopper - This is the tip of the syringe and has a hole in the center, which fits in the top of the medicine bottle. 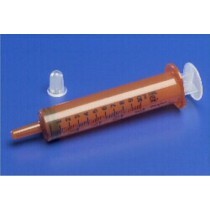 Plastic Measuring Tube - This is the "body" of the syringe and will have a measuring scale on the side for accurate dosage. 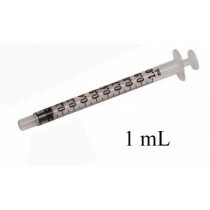 Plunger/Piston - Fits tightly within the measuring tube and can be pulled or pushed along the inside of the tube, allowing the intake or outtake flow of the medication. 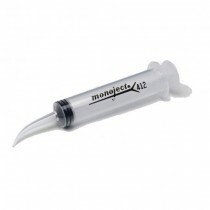 Available Sizes - 1mL, 3mL, 5mL, 6mL, 10mL and 12mL. 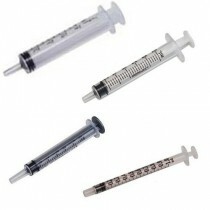 Choosing the right sized syringe can make measuring and administering medicine easy and accurate. Available Colors - Translucent, White, Burnt Orange, Lightly Tinted Orange, Lightly Tinted Green and Lightly Tinted Burnt Orange. Different colors allow you to read the measurements as accurately as possible. Remove the lid and push the stopper firmly into the top of the medicine bottle. Turn the bottle upside down (if bottle top is created specifically for syringe tips). 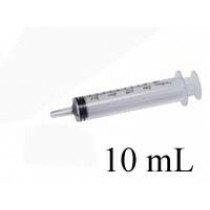 Pull the plunger of the syringe and intake liquid to desired measurement (ask your pharmacist if you are ever confused as to how much medicine is the correct amount to draw). Turn the bottle back right way up and carefully remove the syringe. 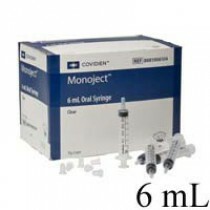 Gentle put the tip of the syringe into the individual's mouth, against the inside of the cheek. Slowly push down the plunger to release liquid into the mouth. Be gentle to allow the individual to properly swallow liquid without choking. 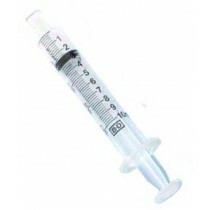 Remove the syringe from the mouth, thoroughly rinse with warm water and leave to properly dry. Always read labels on all medications and if there are any questions or proper dosage concerns contact your pharmacist or doctor before administering.